"Did you know a girl got kidnapped from there 20 something years ago and they never found a body?" I've been fascinated by it ever since. I went on to learn that the Valero station we passed was formerly the D&W Convenience Store, and the girl who got kidnapped 20-something years ago was Heidi Allen, who was only 18 years old at the time. 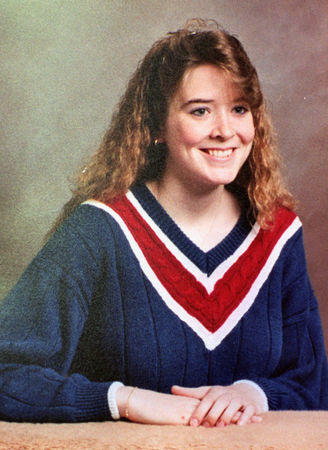 Heidi Allen, who disappeared from a gas station in New Haven in 1994. This picture was used on missing posters that circulated for years, and in some cases still do, across Central and Northern New York. Even though I’m not from the area or anywhere near it, because I only came to Oswego for school four years ago, I still managed to hear about the story of Heidi Allen. And if my friend, who grew up closer to New Haven than I did, told me, that lead me to think if he knew, other people our age must know about it too. For context, Heidi was kidnapped over three years before I was born, so why was it still being talked about nearly 25 years later? I wanted to know, so I started to do a lot of digging in my spare time, and what I found went far beyond a typical kidnapping case. The fall out of Heidi’s kidnapping has created different groups of people that believe different theories about what happened that morning at the D&W. And these different theories divide the community to this day. The thing that drew me in about this case, and has kept me hooked on it, is the fact that there are still so many unanswered questions. Over the course of this series you’ll hear plenty from the people whose lives were changed because of the events, including Heidi’s sister, lawyers, law enforcement, and many more. I want to make it clear that my goal with this project is not to solve the crime, but instead explore why this kidnapping has become Central New York’s most enduring mystery. Episode one will be released on the 25th anniversary of Heidi’s kidnapping -- April 3. Be on the lookout for subsequent episodes, which will be published weekly on Wednesdays. The death of Gary Thibodeau, the man convicted of kidnapping Heidi Allen from a New Haven convenience store in 1994, means the end of his attempts to get a new trial in the case, but his passing is not providing closure to either side. Thibodeau's attorney, Federal Public Defender Lisa Peebles, says while she loves most of the clients she represents, she had a special relationship with Gary. Gary Thibodeau, who had been serving 25 years to life in state prison for kidnapping Heidi Allen from a New Haven convenience store in 1994, has died at the age of 63. The state's highest court ruled today that Gary Thibodeau should not get a new trial in the kidnapping case of Heidi Allen. Thibodeau was convicted of kidnapping Allen in 1994, and is currently serving a 25 years to life sentence.